We love big brake calipers. The bigger they are, the better they're able to apply pressure on the disc to stop the car. 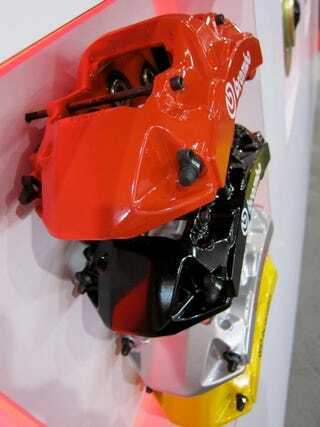 And since Brembo offers calipers in a Skittles-like rainbow of colors, they'll even look stylish! Ahh, progress.